At McNary-Moore Funeral Service, we do, indeed, try to offer you a home, a comforting and inviting place to gather in remembrance and celebration of lives lived well. Our experienced staff is committed to this vision and passionate about making your time with us as memorable and uplifting as possible. We bring together decades of experience caring for families of all cultural backgrounds and diverse walks of life. We pledge to treat you and your loved ones just like family, and we guarantee to offer services that meet all of your specifications while exceeding all of your expectations.Licensed staff members are available around the clock, 24 hours a day, 7 days a week, to discuss your needs. Whether you are doing pre-planning or need to hold a service soon, we are ready to answer our phone and offer you warm, friendly, and empathetic service. 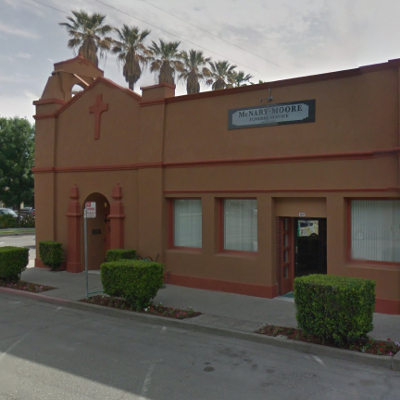 My family received exceptional, high quality care from the staff at McNary-Moore Funeral Service. They were very professional in addressing our needs and were always available when we needed to reach them. 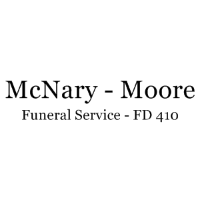 I feel so lucky to have the services of McNary Moore Funeral Home here in our small town. They do a great job and I'm happy we have them here. Working was the staff from McNary-Moore was very comfortable. They were patient in answering all of our questions and guided through the entire process.